"teachers who did not have a personal mindfulness practice being asked to deliver MBA’s [mindfulness-based approaches] by their school principals." I've been working on updating the Benefits of Mindfulness page, and I confess that I've been finding it quite challenging. I'm a firm believer in the benefits of a sincere, long-term practice, but I'm frustrated by the available research and the ways it's typically reported. "The term mindfulness has a plethora of meanings." 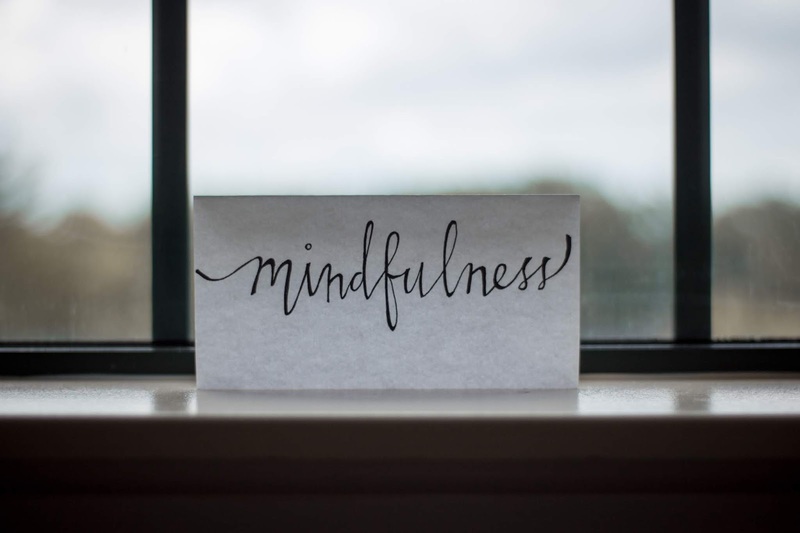 "Much popular media fails to accurately represent scientific examination of mindfulness, making rather exaggerated claims about the potential benefits of mindfulness practices." "Much more research will be needed before we know for what mental and physical disorders, in which individuals, mindfulness-based interventions are definitely helpful." I'd like to share some of my thoughts on these issues, in the hopes that it will contribute to the ongoing conversation about we do and don't know about the benefits of mindfulness. First of All, What Do We Actually Mean by 'Mindfulness'? One of the most popular definitions of mindfulness is "paying attention in a particular way: on purpose, in the present moment, and non-judgmentally." For the record, Dr. Jon Kabat-Zinn has never claimed to have 'invented' mindfulness, but he is one of the key figures in bringing a secular form of mindfulness meditation to a western audience. His pioneering Mindfulness-Based Stress Reduction program in 1979 has grown into the influential Center for Mindfulness in Medicine, Health Care, and Society. "Some people have refrained from accepting Kabat-Zinn's definition of mindfulness, or else have interpreted it in different, sometimes conflicting ways. Kabat-Zinn (2011) himself has acknowledged that the term represents (to him) a much broader scope of concepts and practices than what his earlier (1990) definition might suggest." Van Dam et al, "Mind the Hype"
This has gotten me into trouble a couple of times. For example, a mindfulness teacher bit my head off when I tried to explain Giant Strides, from The QiGong Workbook for Anxiety. "There's nothing mindful about that!" Ouch! This gets into the need for mindful speech, especially among mindfulness teachers of all people, but I'll leave that for another time. I wish I'd had the presence of mind to ask for clarification, as I'm not sure what exactly she was objecting to. There's a valid argument for categorizing it more as a relaxation or visualization practice. Since our conversation was in the context of a training on a specific breath-based practice, she may have associated 'mindfulness' with only that particular type of meditation. Or, I could have simply not been explaining very well, since I was feeling quite flustered and defensive. In another incident, I got slammed for posting 'Compassionate Image Visualization' from the book Mindful Compassion. "This may have a place among feel-good practices, but it has no place on a mindfulness site... Inducing visualizations... You might as well be advocating the use of hashish or cannabis." "The purpose is to imagine what complete compassion might feel like so we can access that feeling during difficult times." social responsibility and social-emotional skills. What Does the Research Really Say About the Benefits of Mindfulness? One issue with the research is trying to compare results when there are there are so many different understandings of what is being measured and how. Are we talking about a brain scan of a Buddhist monk with decades of different types of meditation experiences, or are we talking about a survey of teens enrolled in a mindfulness program at their school? "Mindfulness has been proven to reverse osteoporosis." Higher levels of stress can increase cortisol, and increased cortisol can contribute to osteoporosis. Stress can be potentially be decreased by practicing mindfulness meditation, among other possible options. Not quite as exciting, huh? But a lot more accurate in explaining the state of current research than the way it's typically reported. Training the mind to focus on immediate experience may reduce the propensity to ruminate about the past or worry about the future, thought processes that have been linked to cortisol release." Ah, yes. "Training the mind." One of the issues I'm struggling with right now is how to explain the research on the mind and the brain in a way that's accurate but still understandable and beneficial. "Discussions of the brain — particularly in the context of mindfulness and meditation — have become simplified to the point of distorting the truth. They often present the brain as a set of building blocks or Lincoln Logs, each with its own function. The goal of meditation in this model is to strengthen certain parts and suppress others. These [outdated] models are often taught to children in school, who go home and tell mommy and daddy that the amygdala is bad and the prefrontal cortex is good." The Triune Brain model is no longer considered valid by neuroscientists, but it's included in nearly everything I've read about how mindfulness affects the brain. I think it can be useful to have a simplified model as long as we recognize it as such, and 'lizard brain' is such a great metaphor it would be a shame to abandon it. However, the oversimplification of the impact of mindfulness meditation on the mind and the brain can have serious repercussions. The Mind the Hype article debunks claims that mindfulness interventions are beneficial and risk-free in treating all patients with all types of depression and mental health issues. There are also growing concerns about the impact of mindfulness meditation on kids or adults who've experienced trauma. Could Mindfulness-Based Interventions Potentially Cause Harm? I just finished reading David Treleaven's book on Trauma-Sensitive Mindfulness. I'm now taking the course "Advanced Trauma-Informed Care Toolkit for Youth Workers" from my colleague Dr. Sam Himelstein at the Center for Adolescent Studies, as well as reading Sam's upcoming book in draft form: Trauma-Informed Mindfulness With Teens: A Guide for Mental Health Professionals. Trauma is far more common than you might realize, especially in traditionally marginalized communities. Mindfulness meditation may not be beneficial, and could even be harmful, for people who've experienced trauma, but this depends on the individual and the context in which he or she is being taught to meditate. Students of any age shouldn't be pressured to close their eyes, or to disclose personal information before they're ready, or to keep meditating when they're feeling extremely anxious or agitated. None of this means that people recovering from trauma definitely shouldn't practice mindfulness. It means being careful about which types of practices to engage in under which conditions. Trauma-informed yoga teacher trainer Robyn Hussa Farrell gives a few suggestions in a guest post on 8 Principles of Trauma-Informed Yoga and Mindfulness Teaching. Conclusion... Or Just the Beginning? What is 'mindfulness'? What does the research really say? Is it suitable for everyone, and if not, which conditions make it more or less beneficial? These are all important questions, and they're being asked by an increasing number of mindfulness teachers and researchers. There are also a few other aspects of mindfulness research that are starting to get more scrutiny. One concern is the typical assumption that the currently-popular forms of secular mindfulness meditation are more beneficial than the contemplative practices from every major world religion. "lack of inquiry [about] which bodies receive benefit and which ones don’t; which ones were included in research studies and which ones weren’t." Still another concern is about the overemphasis on stress reduction, which is not the only, or arguably even the most important, reason to practice. These are all issues I think about a lot, especially as I'm writing a book on mindfulness for teen girls (Prufrock Press, fall 2019). I'm trying to be as accurate and inclusive as possible while remaining clear enough to be interesting and useful to 12-16 year olds. I'm not sure how much kids need to know about the more complex aspects of the field. But I do think it's essential for adults, and especially educators, to go beyond the surface level of McMindfulness and reflect on what's being taught, to whom, by whom, and why.